As a result, the Feedback Hub has been beefed up, and Microsoft has pledged to help those who have lost data. Microsoft has restarted the Windows 10 October 2018 Update to members of its Windows Insider beta team. The company had paused early downloads after discovering that Windows accidentally erased files while redirecting them to a new folder location, including Microsoft's own OneDrive. Microsoft announced the October 2018 Update during its Surface press event October 2. While upgrades were scheduled to roll out automatically starting October 9, users could download the operating system manually in the meantime. Several days later, the update (also known as “version 1809”) was pulled as reports surfaced of files being deleted during the installation process. In an October 9 blog post, John Cable, director of program management for Windows Servicing and Delivery, noted that just one-hundredth of one percent of users who had chosen to download the October 2018 Update early had suffered data loss. What Cable didn’t say was that if the update had rolled out as planned with this bug, that small fraction would have worked out to a potential of 700,000 users, out of the entire Windows 10 user base of over 700 million installed devices, who might have suffered a data loss. Cable wrote that Microsoft has identified “all reports of data loss,” and fixed “all known issues” with the update. The company will begin sending version 1809 back to Insiders. “Once we have confirmation that there is no further impact we will move towards an official re-release of the Windows 10 October 2018 Update,” he wrote. Cable advised users who have lost data to contact Microsoft support at 1-800-MICROSOFT to try and recover the data. Because the data was marked as “erased” by Windows—but not physically removed from the drive—there’s a chance that it can be recovered. But Microsoft also advised customers to use the affected devices as little as possible, to avoid overwriting the lost data and losing it forever. What this means: Data loss is a at worst cataclysmic event, at best (if you have a backup) a major hassle. 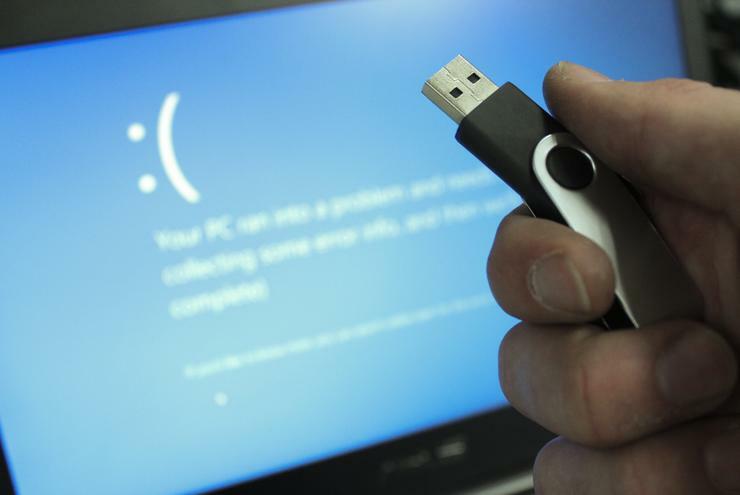 While statistically there was a low possibility that users could have encountered a data loss, this incident is nevertheless a blow to the reputations of both Microsoft and Windows 10. Microsoft said it will revise its Feedback Hub to prevent such a situation from slipping through the cracks. But why do users have to suffer before Microsoft reacts? What went wrong with the Windows 10 October 2018 Update? As part of its post-mortem of the problem, Cable said that the issues with data loss were tied to a Windows feature called Known Folder Redirection. It’s similar to another feature called Known Folder Migration, where a “known folder” (known to Windows 10, that is) like Documents or Pictures” is migrated to OneDrive, so that the “local” content is actually stored in the cloud. As it turned out, Windows confused the two, too. In the April 2018 Update, using KFR accidentally created a duplicate, empty folder of the “known” folder, like Documents. In the October Update, Microsoft decided to clean up these empty folders, and erase them. As it turns out, Microsoft’s code to do just that accidentally erased the “old” folders and their content, and not the “new,” empty folders. KFR redirected the folder to a different drive. If a user added a secondary or external hard drive and created a new “Documents” folder, then redirected the old folder to the Documents folder on the secondary drive, a user could encounter the data-deletion bug. If a user used KFR to redirect a known folder (like Desktop, Documents, or Pictures) to OneDrive. That process usually asks the user if they would want to move the files in the folder to the cloud; if the user said no, the Oct. 2018 bug could erase the data. Turning on the autosave feature on an old version of the Windows 10 OneDrive app would actually turn on KFR automatically, but didn’t always move the files from the user’s PC to the cloud. In other words, OneDrive might redirect the Pictures file to the OneDrive cloud, but not actually move the content. Again, this could trigger the bug if version 1809, aka the October 2018 Update, was installed. “The current version of this [OneDrive] feature moves the files,” Microsoft wrote. Microsoft issued one of those half-hearted apologies that have become so common in today’s world. “We apologize for any impact these issues may have had on any of our customers,” Cable wrote. Microsoft is also trying to fix a glaring issue with the Feedback Hub, the built-in app within Windows for reporting bugs and asking for new features. As Microsoft MVP Rafael Rivera noted earlier, users had reported instances of data loss previously, but they’d apparently been overlooked. Now, Feedback Hub will include a means for users to report bugs with an indication of their severity. “We expect this will allow us to better monitor the most impactful issues even when feedback volume is low,” Cable wrote.